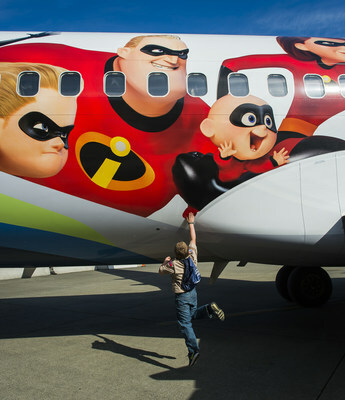 SEATTLE, May 5, 2018 /PRNewswire/ -- Ahead of the highly-anticipated release of Disney•Pixar's Incredibles 2 on June 15, Alaska Airlines unveiled a special-edition plane today, featuring moviegoers' favorite family of "Supers." 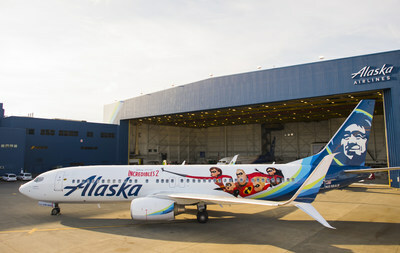 The Incredibles 2-themed plane, Alaska's first Disney•Pixar film livery, was unveiled to a crowd of more than 2,000 cheering students during Aviation Day at the airlines' Seattle hangar. Watch the Incredibles 2-themed plane come to life at http://bit.ly/2juU1TU. "This plane will delight guests of all ages from San Francisco to New York and beyond," said Natalie Bowman, Alaska Airlines' managing director of brand marketing and advertising. "Like all of us at Alaska Airlines, many of our guests have anxiously awaited Incredibles 2. We're honored to take this incredible family to new heights and share the imagery with travelers across our expansive route network." Decked out in their Incredible super suits, the Parr family—Bob, Helen, Violet, Dash and baby Jack-Jack—spans the fuselage. Guests boarding the Incredibles 2 plane will see a logo when they board. An image of the raccoon from the film, Jack-Jack's nemesis, will delight guests seated over the wings. "These characters are among the most celebrated characters in the Pixar family," said Incredibles 2 producers Nicole Grindle and John Walker. "After waiting 14 years to see them on the big screen again, fans will love seeing them on their Alaska Airlines plane, too." 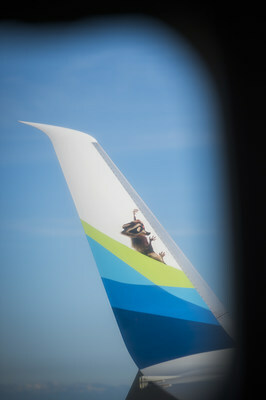 The unique design is a collaboration between Disney•Pixar and Alaska Airlines. The Incredibles 2-themed 737-800, tail number N519AS, begins flying throughout Alaska's route network Sunday. With a cruising speed of 530 mph and sporting larger-than-life images of the "Supers," the plane will visit fans throughout the country via transcontinental routes and flights to Hawaii. Disney fans can follow @AlaskaAir on Twitter and facebook.com/alaskaairlines to learn about promotional activities leading up to the June 15 release of Incredibles 2. Alaska's Disneyland Resort-themed planes include the "Spirit of Disneyland II," launched in 2009; and the "Adventure of Disneyland Resort" Cars Land at Disney California Adventure plane, which made its debut in 2013. Download a high resolution copy of the plane at https://www.relayit.net/pickup.php?c=5Ls4wvfDMcSwLkfd89Jzp8sGBd5jw4qnrrn2. In "Incredibles 2," Helen (voice of Holly Hunter) is called on to lead a campaign to bring Supers back, while Bob (voice of Craig T. Nelson) navigates the day-to-day heroics of "normal" life at home with Violet (voice of Sarah Vowell), Dash (voice of Huck Milner) and baby Jack-Jack—whose super powers are about to be discovered. Their mission is derailed, however, when a new villain emerges with a brilliant and dangerous plot that threatens everything. But the Parrs don't shy away from a challenge, especially with Frozone (voice of Samuel L. Jackson) by their side. That's what makes this family so Incredible. Alaska Airlines and its regional partners fly 44 million guests a year to more than 115 destinations with an average of 1,200 daily flights across the United States and to Mexico, Canada and Costa Rica. With Alaska and Alaska Global Partners, guests can earn and redeem miles on flights to more than 900 destinations worldwide. 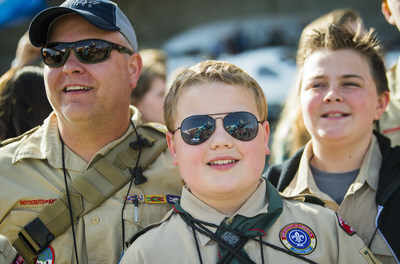 Learn about Alaska's award-winning service at newsroom.alaskaair.com and blog.alaskaair.com. Alaska Airlines, Virgin America and Horizon Air are subsidiaries of Alaska Air Group (NYSE: ALK).